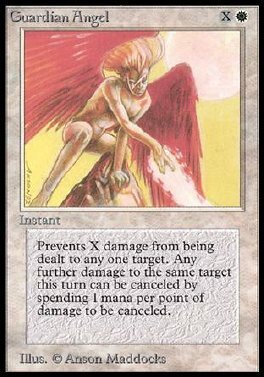 Prevent the next X damage that would be dealt to target creature or player this turn. Until end of turn, you may pay 1 any time you could play an instant. If you do, prevent the next 1 damage that would be dealt to that creature or player this turn.